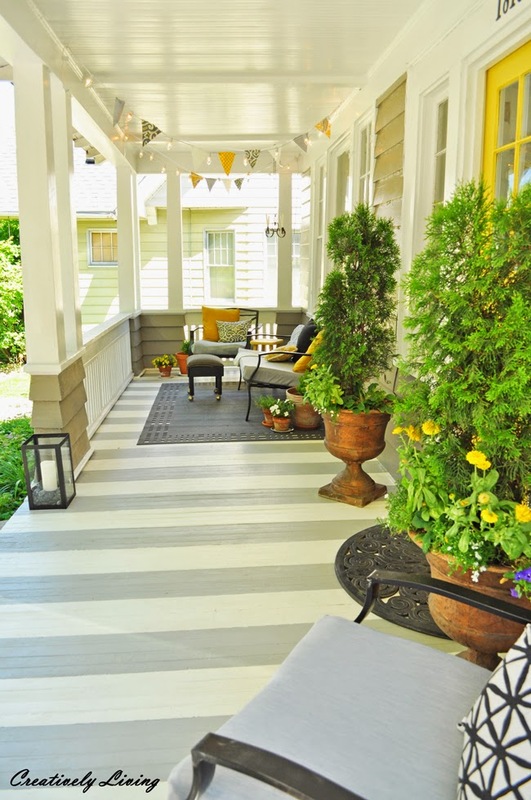 First up, I love stripes so I simply had to share this great porch makeover from Creatively Living. Looks like it's all ready for a summer soiree. 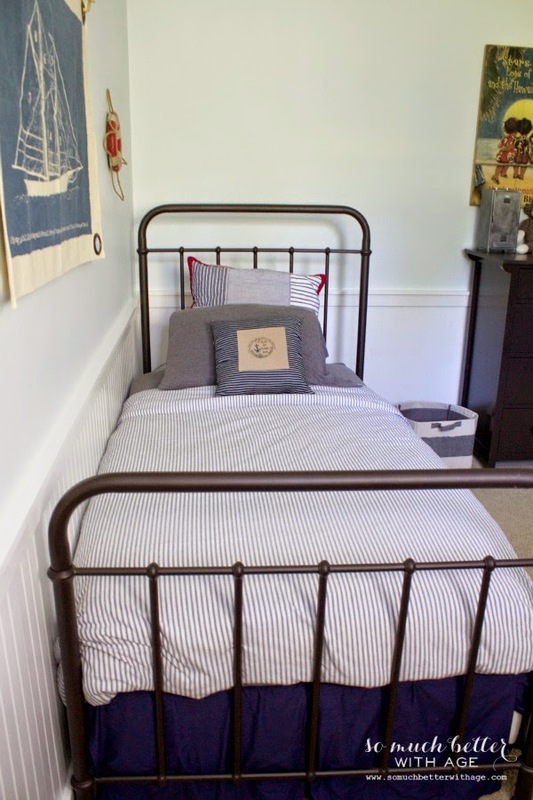 Next, I'm loving this beach-themed boys' bedroom shared by So Much Better With Age. More stripes! I'm sensing a them here. Thank you Wendy for Frugal Friday no. 31. Love the stripes in the features this week. Have a wonderful week ahead. Thank you so much for hosting! Hope you have a fantastic Friday. Congratulations on your new adventure Wendy! Sounds like so much fun...I will definitely check it out. As always many thanks for hosting. Great features! Thank you so much for hosting, Wendy! Thanks so much for the great party! Have a wonderful weekend. Thank you so much for featuring my porch! We are enjoying it so much, since there's no AC inside! Have a great week Wendy! Thanks for another great party!! !